Below is just a small sampling of our recent graduates along with their comments about Pawsitive Training. All have successfully completed the requirements for our training programs. Thank you! 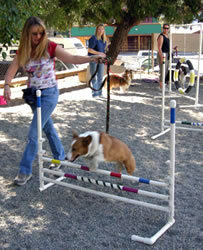 The obedience course was great and we learned a lot! "I enjoyed the positive aproach with the clicker. The dog got it immediately! 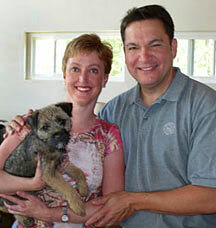 I learned to love my Reggie more, and vice-versa, I believe. You are a true dog whisperer!" "I have been to various types of training over the years. This was the best class I've ever attended! 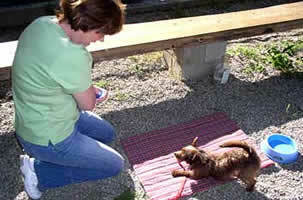 It really showed how the human how to get the dog to behave! Everything was great- time well spent." 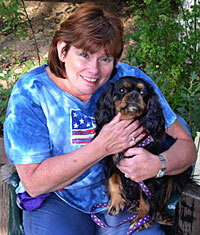 "I really enjoyed doing something with Cinnamon and learning how to implement clicker training. The explanations and demonstrations were excellent. I wish you had an indoor training center so we could continue with you year round!" 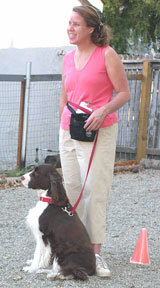 Catherine and Walker learn how to go "hands free" in Basic Obedience class. Frodo clears his jump with ease! 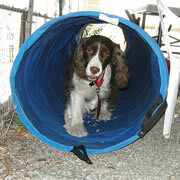 Gracie happily clears her first day jumping at group agility class. Walker confidently trots through the tunnel. Mabel conquers the mini A-frame! 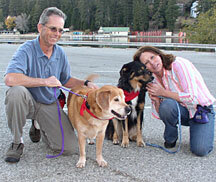 "We now have a better understanding of our dog's behavior as well as a better behaved dog. Stanley definetely wanted to be 'Teacher's Pet'! The coursework was comprehensive and well prepared. We really enjoyed Christine's explanation of why dogs do what they do - the logistics of Dog Thinking. She was always on time and provided thorough explanations - all at a reasonable price!" "Puppy Kindergarten was awesome! I enjoyed Christine's enthusiasm and encouragement. She was always available with my phone calls and many questions. 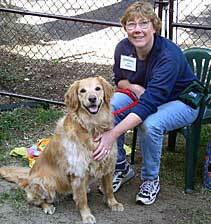 Christine knows dog behavior and where people need training; I'm grateful for this. Everything was interesting!" 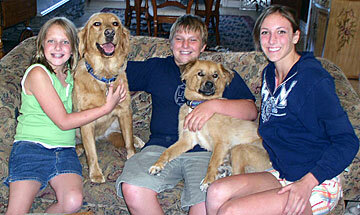 "We were ready to find Toby a new home. We could not communicate with him. Now he is fantastic! 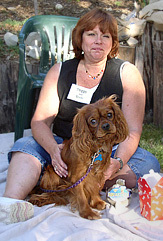 [What I liked the most about the training program was] Christine's total knowledge and understanding of our dog's behavior. 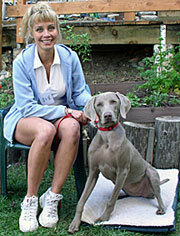 I enjoyed all the training and so did my dog!" 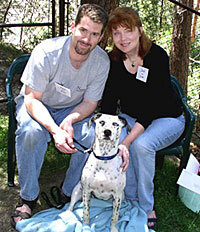 "This class provided great socialization, good for Anya to be out and about. I was just impressed that Anya- clearly the wildest of the bunch- was never made to feel like a problem child. We both appreciate it." Scout demonstrates an adorable bow for her owner! 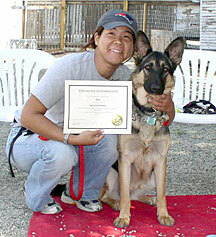 "Christine's caring and love for both animal and [handler] made her class that much more enjoyable. We both were able to relax. When I was nervous or felt like I was failing, she was encouraging. When my dog was hyper, not paying attention, or nervous, she was patient, kind, and in control, always able to get Molly back on track. Thank you!" 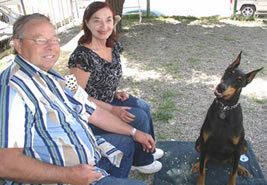 Roxy poses sweetly with her owners on graduation day from Clicks and Tricks! 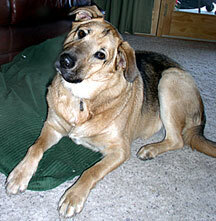 "Shyla is settling down and is quite a nice companion, thanks to you." 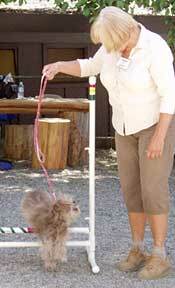 "It was great to see how Coco responded to clicker training-and you made it so much fun! We'll be back for more and have already referred you to half a dozen friends! 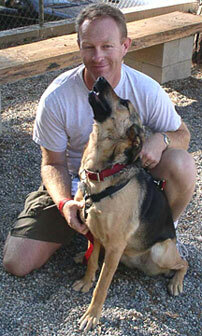 "I feel I can manage my dog's behavior much better. The course is extremely professional and has excellent instructor involvement. 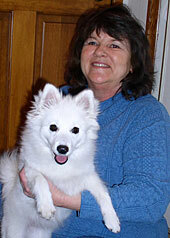 Christine clearly has extended knolwedge in what motivates a dog and what encourages or discourages behavior." " I am extremely happy with your presentation and execution of your training course. I really appreciate your very positive attitude and patience in instructing us as to what to do...with our dogs and their training. I am looking forward to continuing on with you." "[What I liked the most about the training program was] knowing that Zoey could succeed. 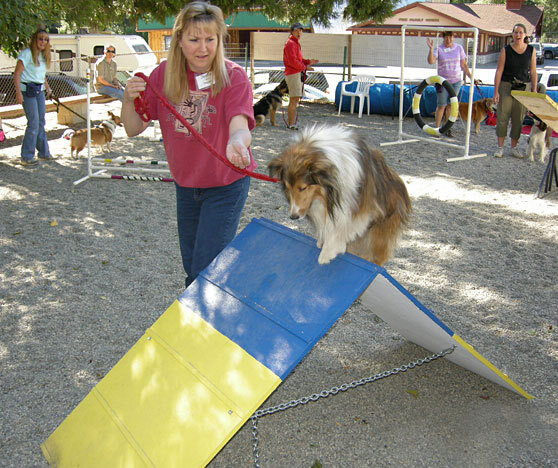 [The most interesting aspect of the course was] seeing all the dogs improve." 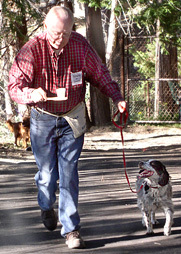 Richard walks Sweetie nicely on a loose leash and balances a cup on a spoon at the same time. "You are wonderful! You made it fun and informative and we will always come to you for all our training needs. 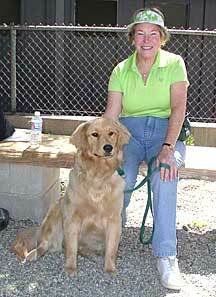 "[The most interesting aspect of the course was] to see that the possibilities are endless as to what we could actually teach our dogs. You are a fabulous teacher and we are so lucky to have you to help us. " "Thank you so much for your help! I thought that the course was wonderful!" "This was wonderful training for humans- and the dog learned a few things too! It was all very interesting! Rylie is doing much better with barking and potty training! Thanx!!!" 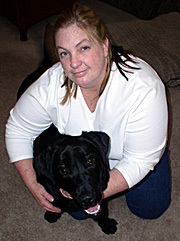 "[I have a] better understanding of my dog's behavior. [The most interesting apsect of the course is] how animals learn - the behavior modification psychology behind this training!" 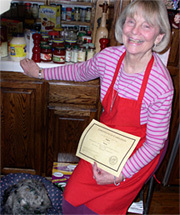 A few months later, Macey passed the Canine Good Citizen Exam! "Just thought I would say thanks again for taking Macey and I through your classes! I have been telling everyone that Macey is now a "Good Canine". work for us, but it was a lot of fun!"